Let’s face it, the weather in the Plainfield area can be finicky. So when we hit the nice summer months, we need to take advantage of the beautiful weather while we have it, right? 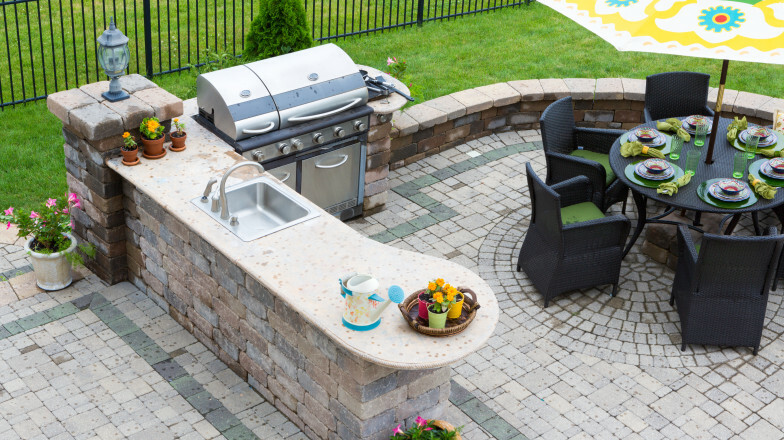 An outdoor kitchen may be the perfect way to enjoy the summer months in Plainfield. It is a great way to enhance your outdoor living area. There are some distinct advantages to creating an outdoor kitchen for your home. Unlike living room or bedroom remodeling, or installing a pool, an outdoor kitchen can enhance the resale value of your home. It adds function to your outdoor living space, making it an important feature in the plus column to any future buyer. Most grills for outdoor kitchens are built using stainless steel to better be able to withstand rain and winter weather. Turning on the stove on those warm summer days can be all it takes to make your family members sweat during dinner. Cooking outside can be the secret to keeping your thermostat humming with some level of normalcy. If you are looking to get a little adventurous in your cooking, maybe cleaning fish or cooking with loads of garlic, your family may appreciate your willingness to cook outside. An island or additional outdoor countertop space can add a great deal of function. This can lead to a place where family and friends can easily spend an evening outdoors. Throw in a fire pit, or a pond, and your backyard can become something truly special. When you grill the grease trickles off the meat and into the fire. This means that the meat doesn’t sit in its own grease as it cooks, making it a healthier way to prepare your food. An outdoor kitchen is a great amenity for your home. 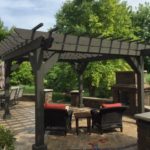 It is a great way to maximize your outdoor living space and get the most out of your home. If you are interested in continuing the conversation about outdoor kitchens, contact your Plainfield landscaping company today!